This weekend I managed to get the backings for several quilts ready, including this top that I made about a year ago... It doesn't look that great in the picture, but it was a fun quilt to make. I was in my favorite LQS (local quilt shop) and a jelly roll of this fabric popped into my arms unexpectedly (I'll never understand how that happens!) 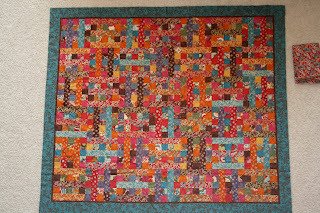 Anyway, the quilt pattern is from the first quilt book I ever owned (given to me by my mother) called 101 Rotary Cut Quilts, by Judy Hopkins and Nancy J. Martin. 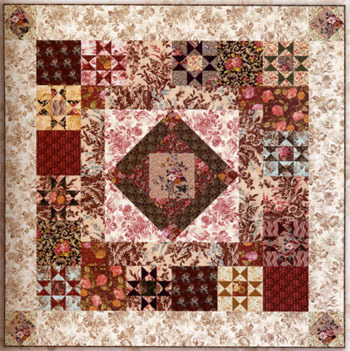 It is a modified rail fence quilt. This next quilt is the one I posted a peek of the other day... 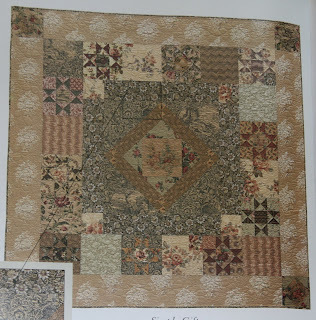 The pattern is from the book Blended Quilts by Marsha McClosky and Sharon Evans Yenter. Before I show you the quilt I made, I need to show you the one in the book. It is a beautiful quilt, as you can see, but the fabrics used are nothing like what I was planning, so I was a little nervous, wondering how my quilt would turn out. Here is my version... the fabric colors are a little off... If Elliott was here he could fix it up, but alas, he won't be home until tonight. I used fabrics designed by Heather Bailey and Anna Maria Horner. Remember a few months ago when I won some Pop Garden by Heather Bailey fabrics? They inspired me to make this quilt. I was looking for a pattern that would allow the large flowers and prints to really show their beauty. The funny thing is that most of the fabrics that I won I didn't end up using. 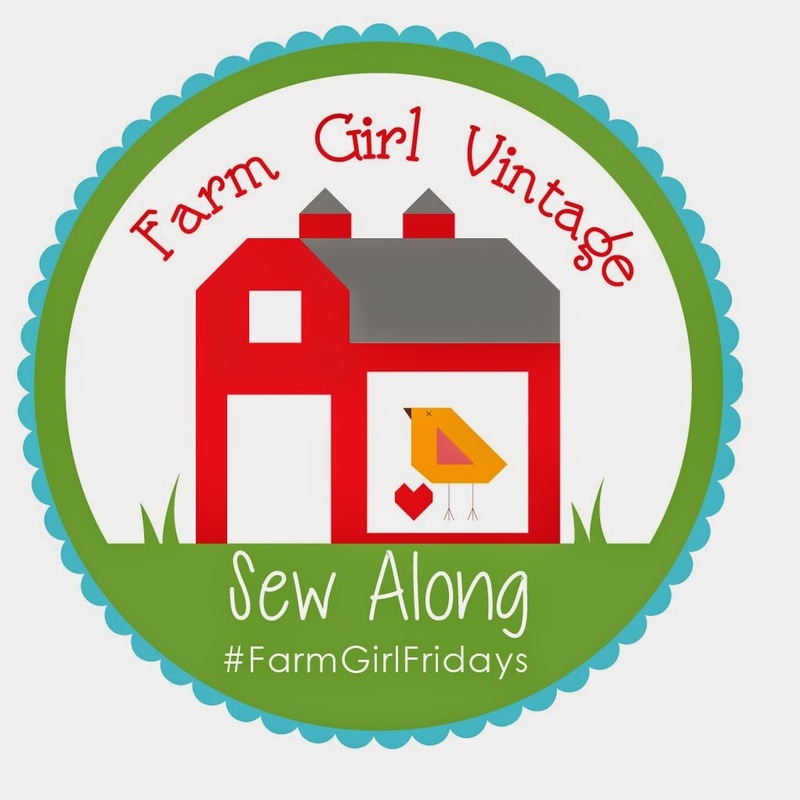 I kept putting them in different line ups and wasn't happy with what I was getting, so I ordered different fabrics, and added several of Anna Maria's Garden Party fabrics (some of the most beautiful fabrics I have ever worked with, by the way! 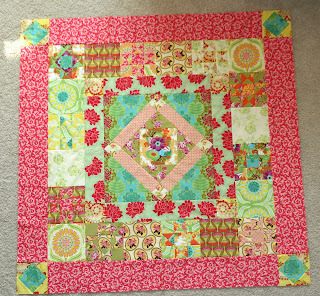 ), and the quilt just came together. It is a relatively quick quilt to piece for the size... it is about 69" square, but because there are only 9 pieced star blocks, it goes together fast. Now these two quilts, along with the pinwheel quilt, will be waiting for the best long arm quilter EVER to take them home with her after she and my dad visit in a couple of weeks. The quilts look great! It will be fun to quilt them... I really love the fabrics. Oooh, I love the cool, bright colors in your new quilt! I may need to become crafty with how cute that is. I am so impressed. You are even more talented than I thought before :) Have fun with your princess cake and family gatherings this weekend. I am loving the blog. I have to learn some of your skills.